Twitter has today begun to roll out a new update to its native Twemoji emoji set: Twemoji 11.3. The first update to the vendor’s designs in 2019, it features a series of minor adjustments to several previously-released emoji designs. While this update features no new emojis, Twitter is typically one of the first vendors to support new emoji releases. Judging by previous years, users might expect to see new emojis within the as-of-yet-unfinished Emoji 12.0 appearing across Twitter around June of 2019. The design modifications made within Twemoji 11.3 primarily focused on the posture and definition of human emojis various appendages (i.e. their hands and feet). However, additional changes have also been made across other emoji categories. Some of the most noteworthy are detailed below. 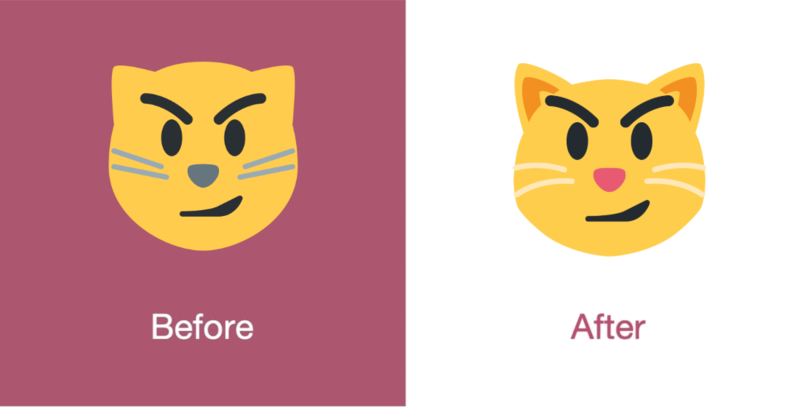 Each of the expressive cat face emoji have been updated to feature a pink nose, reshaped white whiskers and new shadowing in their ears. 😼 Cat Face With Wry Smile is shown below as an example of these feline facial tweaks. 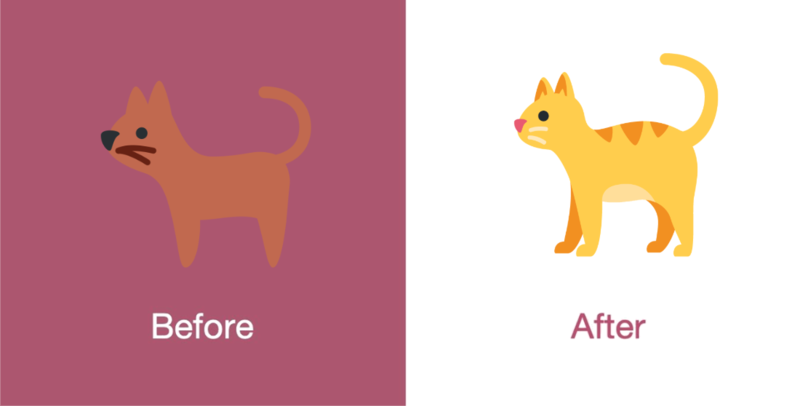 🐈 Cat has had its colour and shape modified, making it more detailed and less similar to 🐕 Dog than it's previous design. 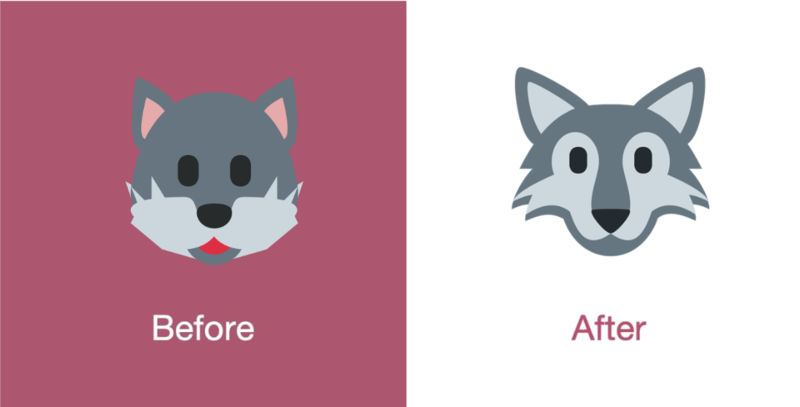 🐺 Wolf Face now features larger ears and protruding tufts of fur on its cheeks, with this new design echoing the creature’s appearance across most other major vendors. 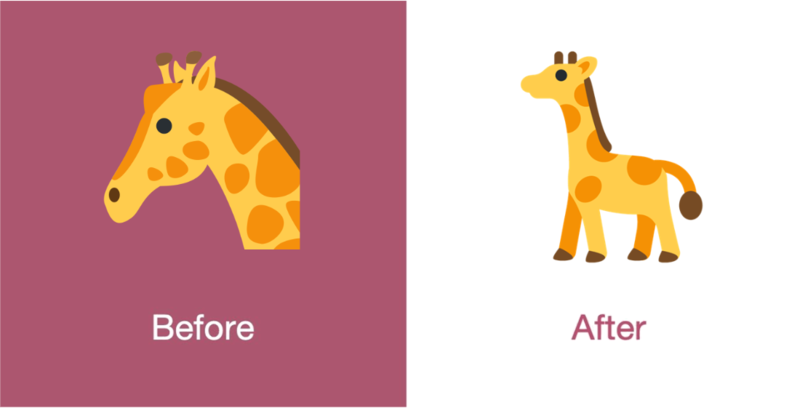 🦒 Giraffe is now shown as a full-bodied (and full-necked) animal as opposed to just featuring a side profile of the mammal’s head. Other animal emoji which have experienced design changes in Twemoji 11.3 are 🐕 Dog, 🐶 Dog Face, and 🦄 Unicorn Face. 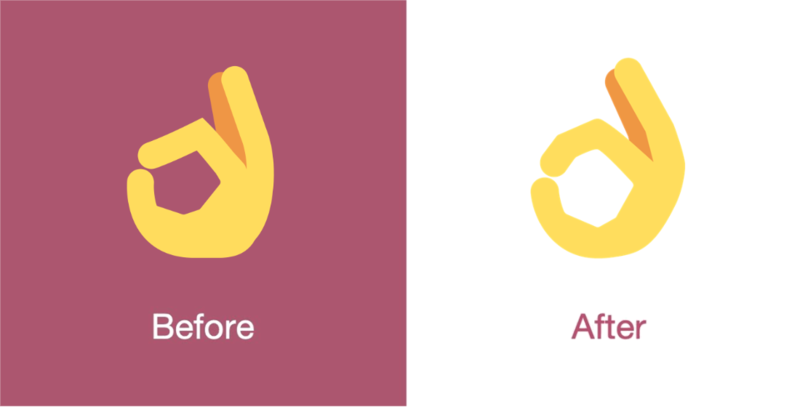 👌 OK Hand has been subtlety tweaked to feature more detailed bends in the finger’s phalanges. Other hand gestures featuring minor tweaks include ✌ Victory Hand, 🤞 Crossed Fingers and ✊ Raised Fist. 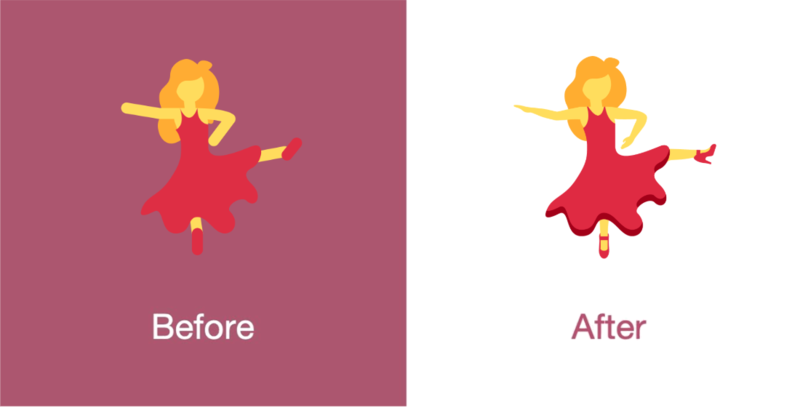 💃 Woman Dancing has increased details in her arms, hands and shoes. 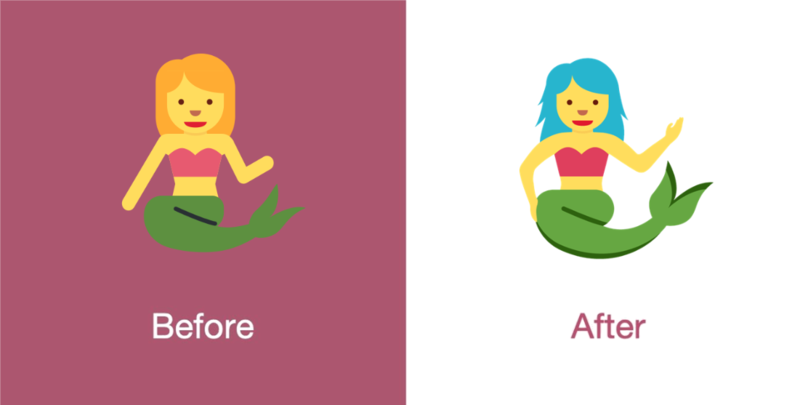 🧜 Merperson now has larger and more distinctly colored hair, detailed hands and more realistic curvature in the arms. 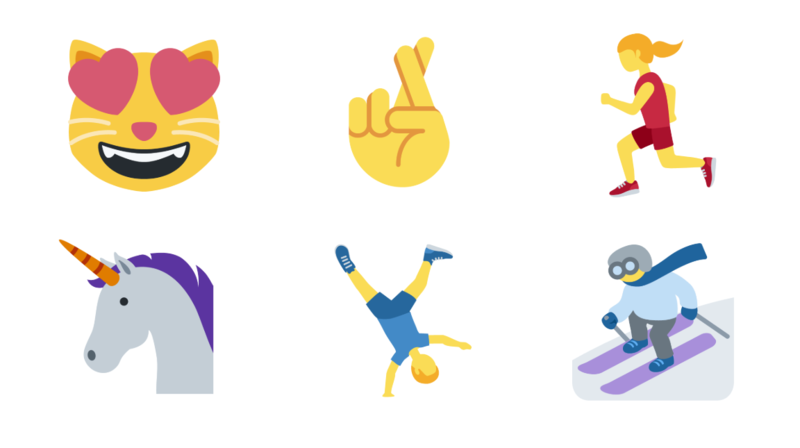 Other person-based emoji which have received similar revisions to limbs and posture include 🏃 Person Running, 👯 People With Bunny Ears, 🧘 Person in Lotus and 🏄 Person Surfing. 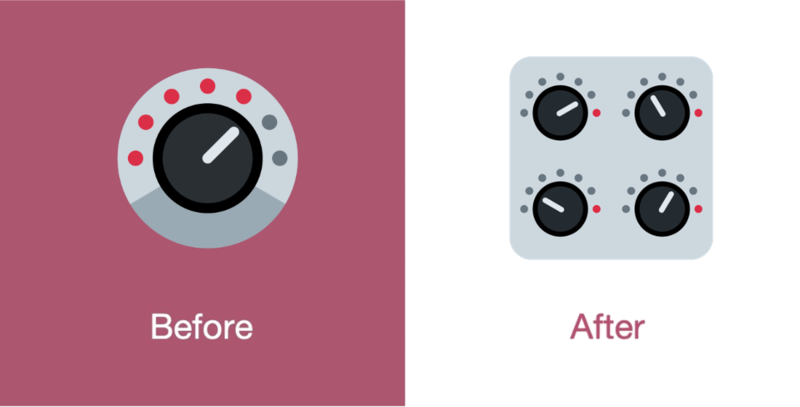 🎛️ Control Knobs now displays a set of four knobs instead of just one, as per other major vendors. 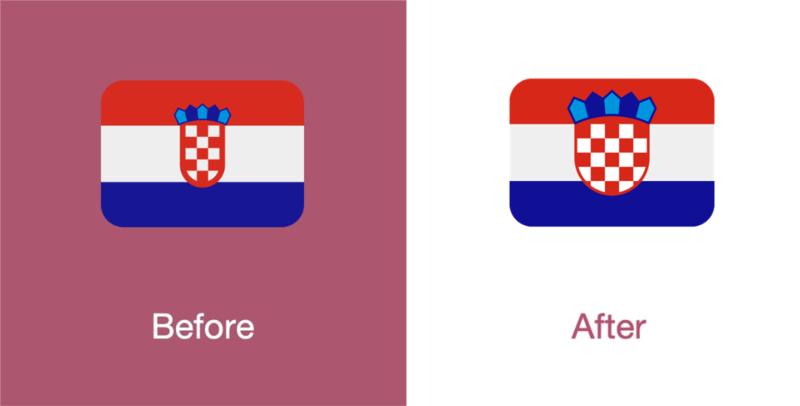 The 🇭🇷 Flag of Croatia has had its central coat of arms widened to better match how it is depicted within the European nation’s flag. Rollout of Twemoji 11.3 began today across Twitter's various platforms. In the coming days Twemoji 11.3 support will be made available for all users of the Twitter website, the Twitter mobile site, and Tweetdeck. Mobile devices running Android OS 7.x or earlier will also soon display these designs thanks to an update made by Twitter to its Android apps in May 2018. Devices manufactured by the likes of Google and Samsung will therefore not display their native emoji set within Twitter, but Twemoji 11.3. instead. Users of the iOS Twitter app will continue to see the native Apple emoji set. It is expected that the modified designs featured within Twemoji 11.3 will be available on Twitter's Open Source Twemoji Repository in the coming weeks as well.